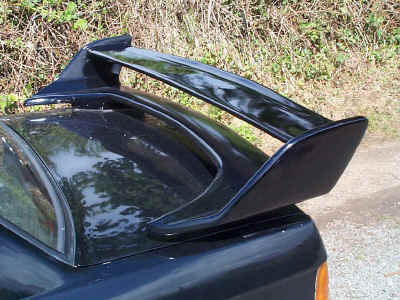 The spoiler has been designed with narrow mounting legs so that it can be fitted to as many cars as possible. The spoiler costs only £230.00 inc UK Mainland postage and Packaging. As with all products this spoiler is supplied in a gelled finish which requires sanding prior to painting to match your car. New Orimental 3 spoiler (3 legs - no blade) and Orimental 2 (more rounded version better suited to some more modern rounded car) now available. Pictured below. 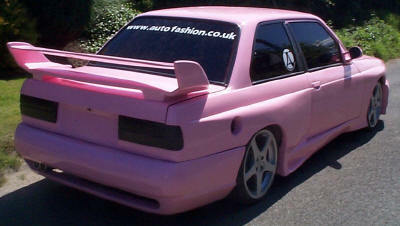 New Orimental 3 spoiler is available to fit most cars with a boot. No blade option, this unique spoiler is out of this world. £350 inc vat and Mainland P&P. New Orimental 2 spoiler pictured here without the blade, is better suited to some more modern cars, and many that are a little more rounded. 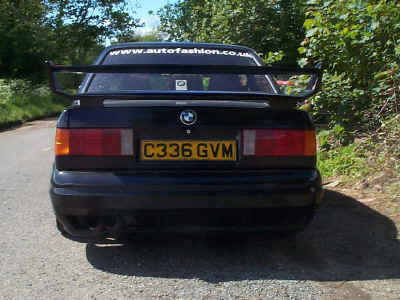 Priced at £200 without the blade and £275 with optional blade this spoiler fits many cars quite easily.